Where can you take calligraphy or planning classes in Minnesota? Well, you’re lookin’ at her. For years, I’ve been working as a curriculum writer and teacher, always learning about how to better create spaces for students’ process. Teaching is something I love to do. My belief is that we can all learn anything if we had the right space to do it – so I try to create those spaces in my workshops. My workshops and classes have a mix of demonstration and instruction, practice time, some individual attention, jokes, and hopefully some laughter. I care most about holding a casual atmosphere that invites questions, experimentation, play, and for participants to get what they want out of the time together. At the heart, I want people to feel like creative planning and calligraphy are skills they can actually do. Through these classes I tend to infuse messages around self-care, personal leadership, writing your own story, empowerment, and creativity. I find that planning, bullet journaling, and calligraphy are amazing ways to learn about ourselves, and it’s fun for me to bring those elements into our time together. I teach classes through a variety of venues, as well as individual lessons and private classes. Just ask! Come join us on your calligraphy journey! Ever wanted to learn how to do brush calligraphy for yourself? You’ve seen it on stationery, cute Pinterest photos, and wedding signs, and now you can learn how to begin your own calligraphy practice. Join Jessica to learn about supplies, how to hold your pen, basic strokes, how to draw each letter to build words. Leave with the skills to continue your practice, handouts, resources, tools and your first piece. Includes a ton of great beginning supplies! Have you been admiring the brush script that seems to be everywhere? Interested in trying to learn for yourself? Join us in learning the basic strokes and drills to make letters and words as a new artistic outlet and self-care practice. Leave with some of her favorite beginner brush pens, worksheets, techniques to continue your learning, and a piece of your own work to take home. Supplies are included in the fee. If you’re hoping for planner peace, I offer some options in this online class. Honestly the hardest part about finding peace is knowing what it is that works for you and your unique life. I walk through possibilities with you for planning options and strategies, and you work through the Brit+Co workbook to identify what you might be looking for. Preparing for the new year is an exciting period of possibility, where some of us are committed to finally getting organized and using a planner. Join Jessica of Pretty Prints and Paper to explore various planning systems and figure out what works best for you. 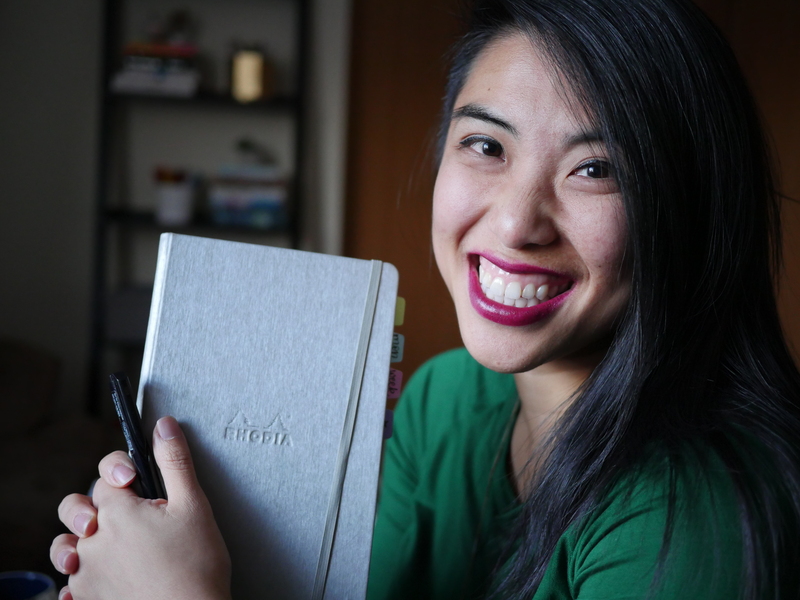 We’ll also talk about some tips and tricks to add some creativity into your system and ways to personalize your planner to best suit you and your unique life. Bring your favorite planners, notebooks, and pens! I love working with individuals and small groups where I can tailor my lessons for whatever you or the group needs. I’ve had the pleasure of sharing about creative planning and calligraphy in a variety of settings. Catch me at upcoming planner conferences! At this NYC gathering I’ll be doing a brush calligraphy workshop to introduce participants to the art of lettering. Supplies will be sponsored by the generous Tombow. Get ready to have some fun and learn something new! Did I mention it’s in Times Square and there will be TONS OF SWAG?? I will be returning to Chicago to host two workshop sessions at this conference- Planning for Self-Care and Cocktails + Calligraphy!! If you’re looking for an AMAZING time with an incredibly warm and welcoming community, I suggest snagging tickets to CPC this fall. The swag and laughs will be more than worth it.